Perhaps just like there are good and bad groups of people here on Earth there may also be different agendas going on in the Alien world. 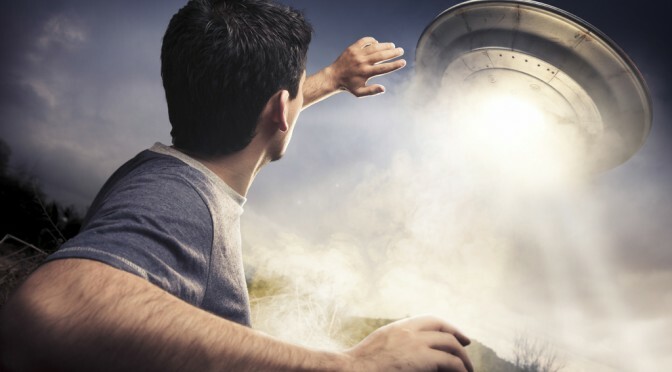 Check out this video about 10 different cases of people being abducted by beings not from this world and think about what could be going on and what we may not understand about the universe around us. During a camping trip near Allagash, Maine in August of 1976, four men were fishing in a canoe when they saw a gleaming UFO with an 80-foot diameter and changing colors. According to these men, the UFO engulfed the entire group. They came to several hours later not remembering anything about their abduction, but began to have frightening nightmares about the incident. The men all underwent hypnosis which revealed that they were the subject of medical experimentation and that their kidnappers were not from this world. All of the men took lie detector tests about their claims and passed. A Brazilian farmer Antônio Vilas Boas saw a spacecraft emitting red light landed on his farm while he was working on a night in 1957. He claims he was abducted and taken to the ship by alien beings and was part of an experiment to impregnate an aggressive humanoid female and left some disturbing evidence of alien experimentation on his body. This incident produced symptoms such as nausea, loss of appetite, skin disorder, headaches and even bruising which went on appearing for months. Large doses of radiation were found on his body by investigators. Two fishermen Calvin Parker and Charles Hickson heard a strange whizzing sound while fishing on the night of October 11, 1973 in Pascagoula River, Mississippi. They saw an oval shaped “craft” with strange creatures having claw-like hands abducted them and subjected them to medical experimentation. Later both witnesses took polygraph tests and passed. 24 hours before the incident two policeman witnessed UFO sightings near Ocean Springs which close to Pascagoula. In September of 1961, a couple of New Hampshire, Barney and Betty Hill were driving home when they saw a bright light jutted out of the nighttime sky. The light approached them, and they say they saw “bipedal humanoid creatures” looking out of the window of the spacecraft. This couple had no memory of the next two hours and ended up 35 miles away from where they last remembered being. Betty’s dress had been ripped and Barney’s shoes were scuffed. What is also bazaar is that their watches were stopped at the time when they saw the light. In 1975, Travis Walton, a logger and his six co-workers were driving home after work in a forest in Arizona when they saw “a luminous object”, shaped like a flattened disc. Curiously Walton ran toward the object. Suddenly a blue-green beam of light from the object struck him, lifted a foot into the air and shot him back stiffly about 10 feet. Walton vanished and reappeared five days later, confused and scared with fleeting memories of alien entities and descriptions of the inside of an extraterrestrial spacecraft. All six witnesses took lie detector tests and passed. While flying a Cessna aircraft over Bass Strait, 20-year-old Frederick Valentich, an Australian pilot radioed that he was being accompanied by an aircraft above him on 21 October 1978. His final words were, “It’s not an aircraft.” He was never heard again. There were belated reports of an erratically moving green light exiting the water near Cape Otway lighthouse on the night of the disappearance and an individual named Roy Manifold was even also able to take a photograph. Alan Godfrey, a police constable was on patrol one night when he saw a strange object in the sky. He quickly began to sketch the object on a notepad when there was a bright flash. He lost consciousness and woke up much further down the road from where he was and it was 15 minutes later. Clayton says that he has been abducted many times since he was a young child. Since becoming an adult he and his wife claim to have been abducted and even had an unborn fetus stolen from his wife during one of these abductions. In 1987 Philip Spencer, a retired police officer was walking one morning when he saw a strange looking creature. He was able to take a photo of it. When he went to the near by village to develop the photo he noticed that his watch was suddenly an hour behind. Through hypnosis he remembered that there was a UFO and that he was abducted by the alien he saw. On November 9th 1979, Robert Taylor who was a forestry worker encountered a spherical flying object. he felt the object seize him and he lost consciousness. When he awoke the flying object was gone but his clothes were torn, and he had scuff marks on his chin and thighs. Taylor also found ladder shaped marks on the ground where he remembers seeing the flying object. The marks did not match any of the equipment that the forest service used. What do you think about Aliens and Abduction stories? Let us know in the comments below.